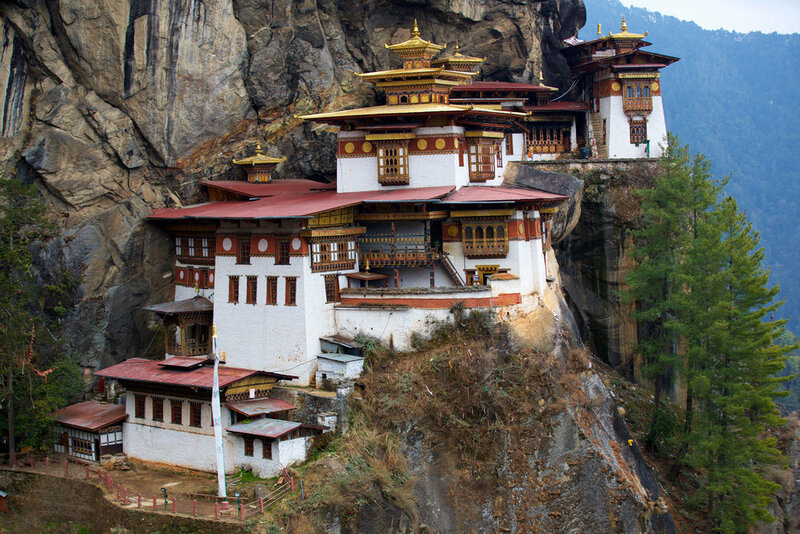 Join us on an unforgettable journey into the “Land of the Thunder Dragon” Bhutan, a Shangri-La Kingdom perched on top of the world, shrouded in mystery and magic. 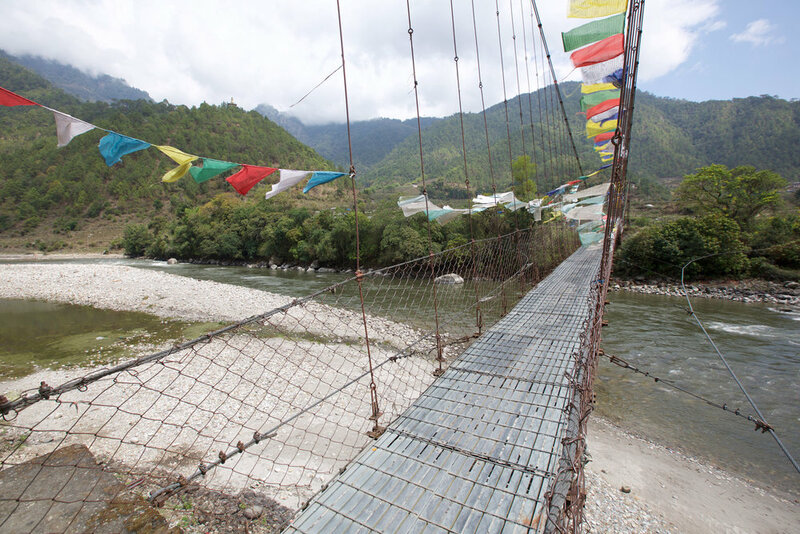 Long shut off from the rest of the world, Bhutan has retained a culture and lifestyle that revolves around the sacred. Monks live out their reverence in glorious monasteries and nuns devote their lives to charity. Traveling through the mountains reveals mystical views of holy peaks and passes. It’s no wonder these mountain ranges are said to house deities within. 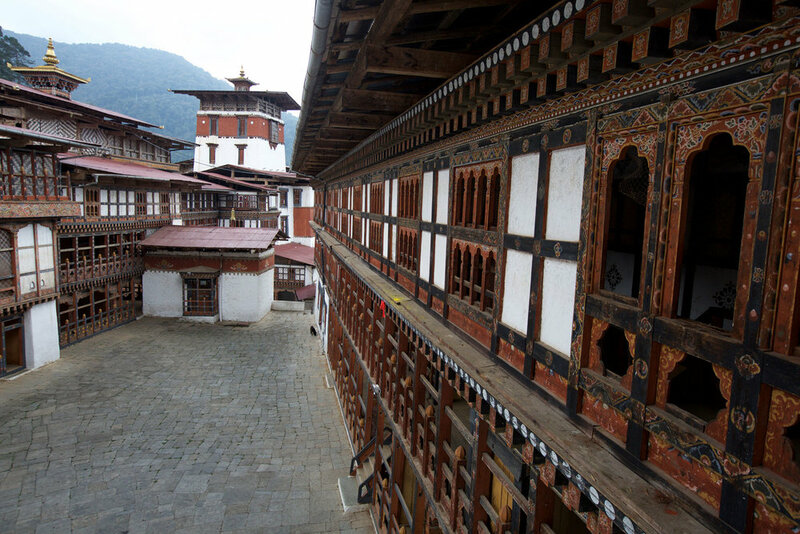 Be swept away by the energy, spirit and beauty of Bhutan. On this adventure, you will witness a land of great beauty; with wild untouched landscapes, hamlets and monasteries clinging to the sides of rugged mountains and raging rivers deep down in the valleys. Walk amongst the red-robed monks as we journey between lush valleys, each with an abundance of flora on full display and dotted with ancient temples, remote villages and majestic Dzongs. 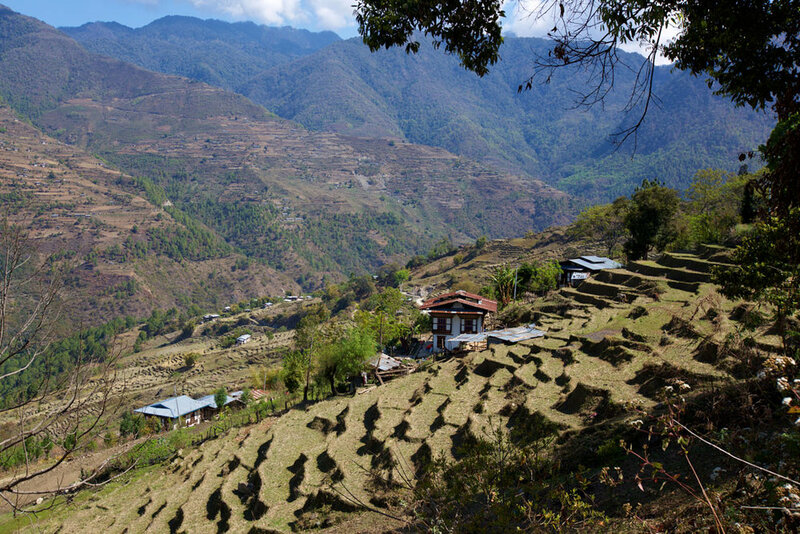 Journey to remote villages with superb mountain vistas to meet mountain tribes and ethnic minorities. Meet the Bhutanese people, with their deep-rooted belief in Buddhism and experience their daily lives, including visits to the nomadic Yak herders and families living in remote traditional villages. Learn how the Bhutanese people have carefully-preserved traditional lifestyle in the quest for pure happiness. Stroll through artisan markets, explore temples decorated with exquisite and flamboyant designs and walk through pristine forests surrounded by misty mountains rising from fast flowing rivers. Be thrilled by the rush of a river rafting excursion and hike to the gravity defying Tiger’s Nest Monastery with its jaw-dropping mountain vistas. 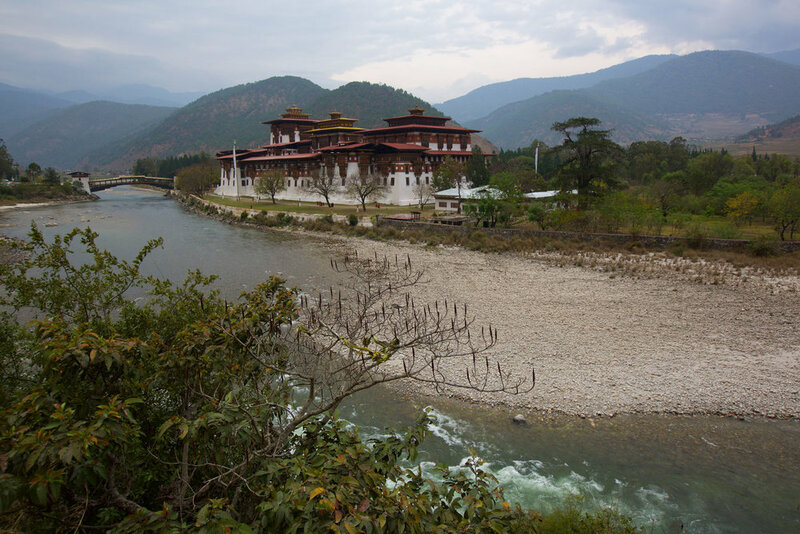 Observe the essence of Bhutan with its unspoiled culture, environment and society and learn about the traditional ways of life that have survived unchanged by the passage of time. Once a year the small town of Gomphu Kora comes alive with grand festivities. Witness elaborately decorated masked dancers perform their traditional rituals to the tunes of ancient horns, drums and symbols. Listen to the enchanting songs and melodies of the local dancing girls as the Bhutanese people gather for the colorful celebrations of Gomphu Kora festival. Visit ancient fortresses (inc. Tiger’s Nest), sacred monasteries and remote temples. Travel through mystical landscapes with glorious mountain passes and Himalayan peaks. Be moved by the colorful Gomphu Kora festival. Engage with mountain tribes and Yak herders. 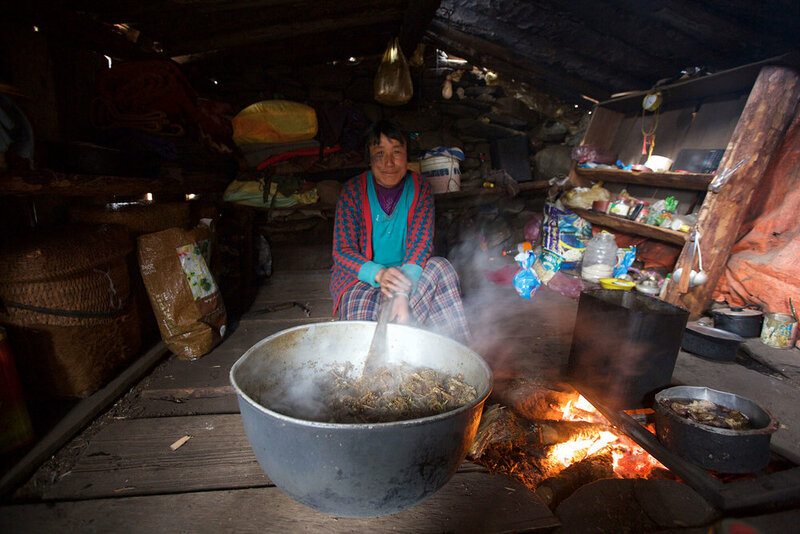 Experience authentic Bhutanese living and genuine hospitality. 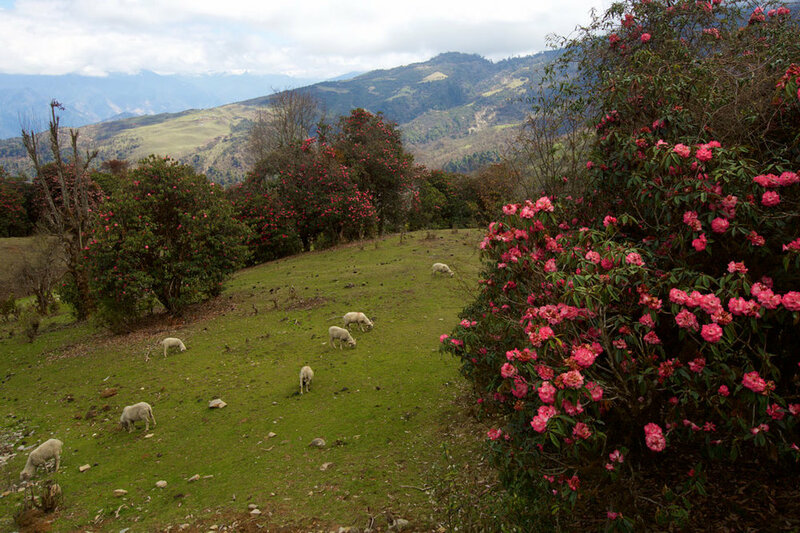 See swirling fields of Rhododendrons and walk through lush valleys and misty forests. River raft on the Mo Chu River. 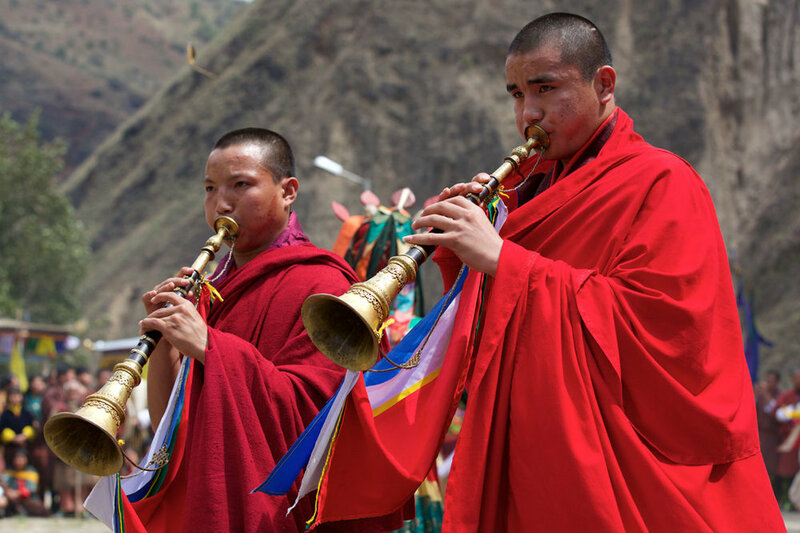 Witness the traditional daily lives of Monks, Nuns, Yak herders and farmers. Overnight at high-end Aman and Uma by Como Resort properties. In 2017 Thomas was invited by Tshering, our exceptional Bhutanese guide and friend, on a month long scouting trip across the whole country of Bhutan. 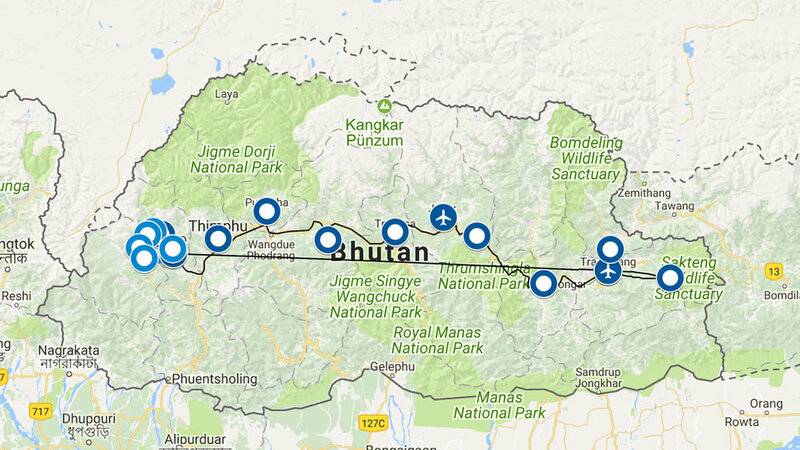 Following this extensive expedition, Thomas & Tshering put together what they believe is the ultimate Bhutan expedition; including not only the iconic must-see sites, but also unique and rarely visited places and incorporating exclusive ceremonies and special events. The key was to cherry-pick the best accommodations, the greatest locations and most importantly the most wonderful life enriching experiences. 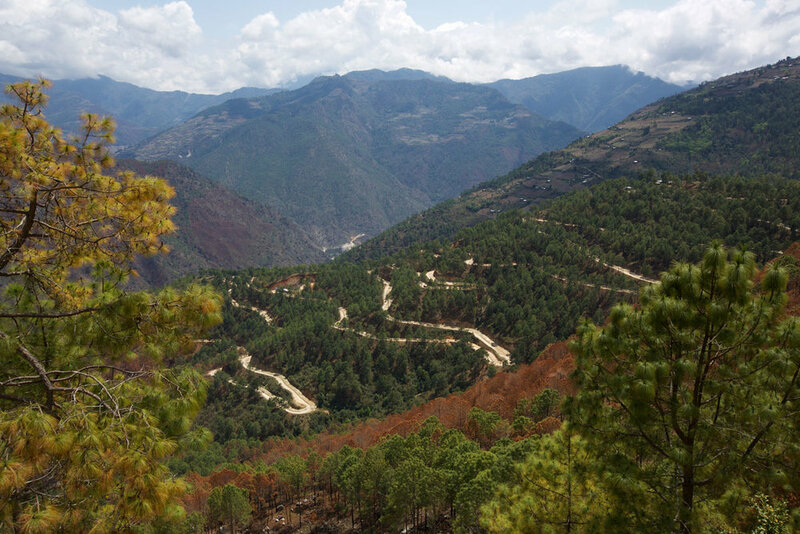 For the more fit and active, finish your Bhutan adventure with the Sagala Pass Trek Post-Extension. This 2-day trek is designed for those that love hiking in the mountains. Walk through pristine forests, cross creeks and hike over a mountain pass with 360° mountain views, including some of world’s highest mountain peaks. Camp on a wonderful meadow and witness the daily life of traditional Yak herders. 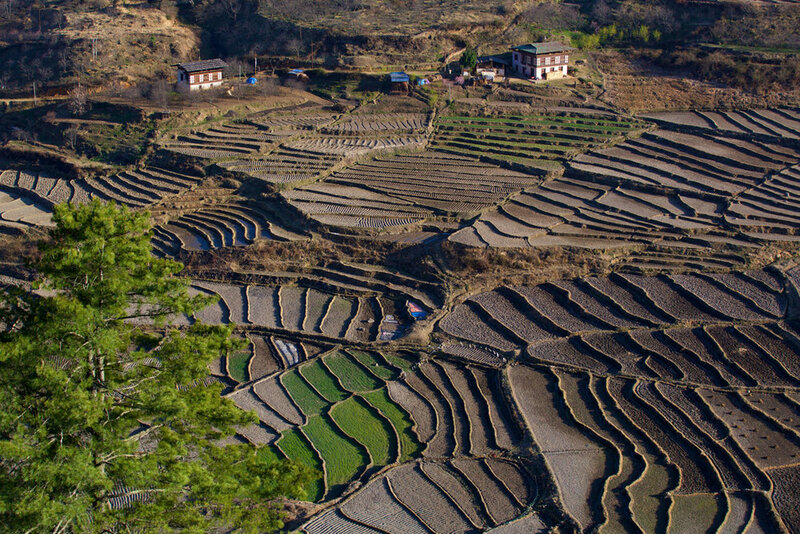 Hike the ancient trade route from Paro valley across Sagala mountain pass down to the recently opened Haa Valley. You've got that "I don't want to miss out" feeling for a good reason. Our expeditions are life changers and we have a solid following of Wild Earth Explorers who love returning to adventure with us. Don't hesitate in reserving your space today. Inform one of our friendly Wild Earth Team members of your interest in booking a space or Enquire about the trips details. We appreciate your interest in this expedition. Lisa or Thomas will email you soon. Be sure to add our email to your Contacts so we don't get lost in your Junk Mail. We have added you to our email list so look out for our newsletters with information about this trip and other expeditions that we run in your inbox. Join us for an enlightening journey through one of the last remaining Buddhist Kingdom’s and the least explored corners of Bhutan. Long shut off from the rest of the world, Eastern Bhutan has retained a culture and lifestyle that revolves around the sacred. Monks live out their reverence in glorious monasteries and nuns devote their lives to charity. Traveling through the mountains reveals mystical views of holy peaks and passes. It’s no wonder these mountain ranges are said to house deities within. 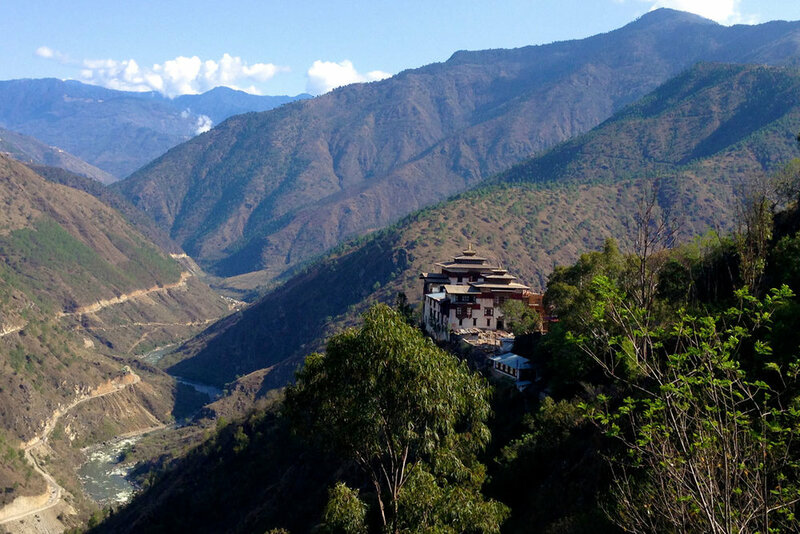 Be swept away by the energy, spirit and beauty of Eastern Bhutan. 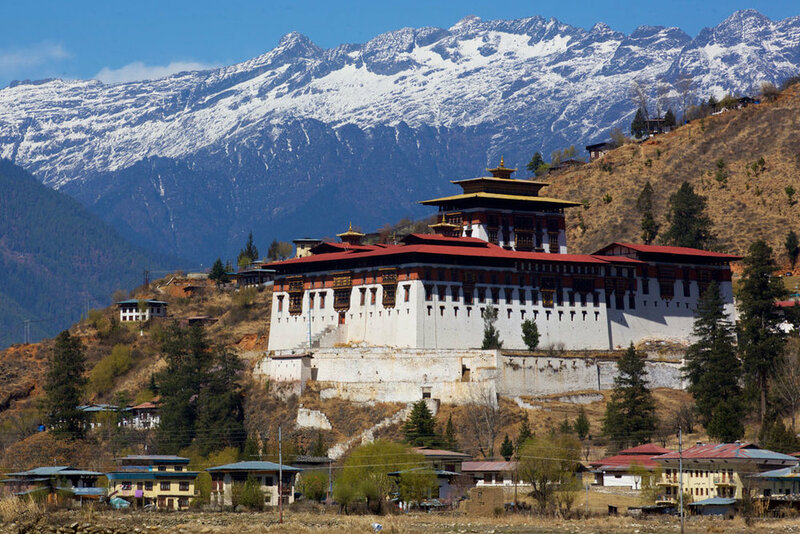 Join us on an unforgettable journey into the “Land of the Thunder Dragon” Bhutan, a Shangri-La Kingdom perched on top of the world, shrouded in mystery and magic. Walk amongst the red-robed monks as we journey between lush valleys, each with an abundance of flora on full display and dotted with ancient temples, remote villages and majestic Dzongs. Meet the Bhutanese people, with their deep-rooted belief in Buddhism and experience their daily lives, including visits to the nomadic Yak herders and families living in remote traditional villages. 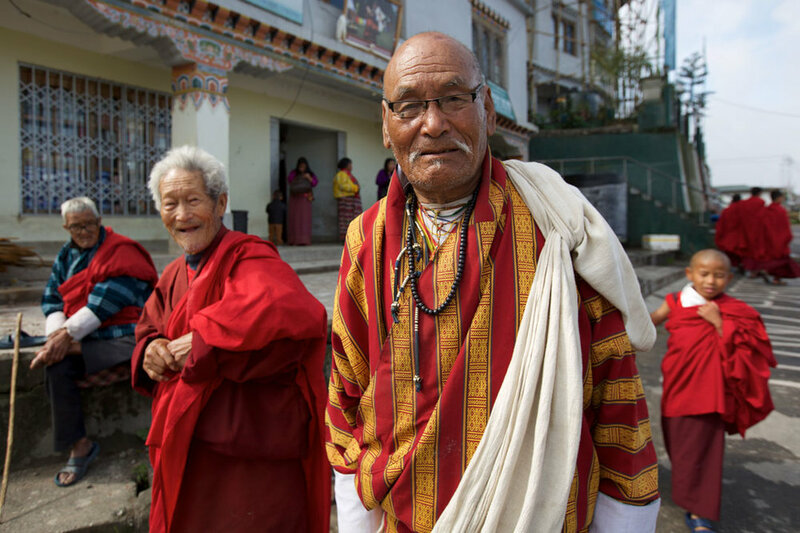 Learn how the Bhutanese people have carefully-preserved traditional lifestyle in the quest for pure happiness. Stroll through artisan markets, walk through pristine forests surrounded by misty mountains rising from fast flowing rivers. Be thrilled by the rush of a river rafting excursion and hike to the gravity defying Tiger’s Nest Monastery with its jaw-dropping mountain vistas. Observe the essence of Bhutan with its unspoiled culture, environment and society and learn about the traditional ways of life that have survived unchanged by the passage of time. Be the first to receive trip announcements and hear about topics related to travel and the amazing destinations, cultures and wildlife we encounter. We respect your privacy. We will never share your contact details. We love sharing our passion for travel. We aim to send out two newsletters a month with up and coming expeditions and topics related to travel and the amazing destinations, cultures and wildlife we encounter. We look forward to hearing about your travels and interests. We encourage you to join our community of like minded travellers and like us on Facebook or be inspired with images from our travels on Instagram. P.S. For occasional social updates about Travel, Photography, Destinations, Wildlife and the Marine World, here's where to find us. ©2010-2018 All rights reserved. WILD EARTH EXPEDITIONS PTY LTD / Thomas & Natalia Baechtold.